When Sonja Sohn has seen your yearbook. COLD PURSUIT. Unlike the mess Liam Neeson has made talking about his racist past while promoting Cold Pursuit, there really isn't anything in the movie itself to be upset about, I suppose. On balance, this is an amusing enough way to dispose of a couple of hours: a competent, if unremarkable, action movie that at least has an unusual scenario going for it. But one can hardly let things just be amusing and unremarkable, can one? (History says no). In this case it is because Cold Pursuit, in spite of its alpine setting, unusual characterizations and semi-inventive violence, follows the dumbfounding trajectory of remaking a recent foreign movie and, for those keeping score, calls back to the late '90s, early '00s tradition of movies derived from other, better movies that were, in their turn, intentionally derivative (we used to call it homage) of older, less ubiquitous genres and examples thereof. In the matter of the first matter, Norwegian director Hans Petter Moland here helms a "reimagining" of his own Kraftidioten (English title In Order of Disappearance), from 2014, adapted by Frank Baldwin from Kim Fupz Aakeson's original screenplay. I have not seen that earlier work and in that I am remiss. However, history would indicate that it is likely a charming, more successful work in its native state than in this, its probably amplified but simultaneously dumbed-down reiteration. Nels Coxman (Liam Neeson) operates a snow plow concern in rural Kehoe, Colorado, and quite successfully, judging by the appointments of his "humble" mountain abode and the quality of his French-cuffed shirts. He and his wife Grace (a shockingly underserved Laura Dern) seem content in their quiet little life, with the occasional, to-be-expected interruption from their son Kyle (Micheál Richardson), who works as a baggage handler at the airport. But then one of Kyle's buddies at work pilfers the wrong suitcase from the wrong people and Kyle ends up a casualty. His death, ruled an accidental overdose, drives Grace and Nels apart and sends Nels on the path of revenge. He takes on his own "investigation" (implausible but one can look past that), which really amounts to him killing employees of the criminal drug distribution network responsible. Of course, he is nothing to the head of said organization, the impeccably groomed and implausibly gravelly Trevor "Viking" Calcote (Tom Bateman). (Incidentally, all of the bad guys have cute nicknames.) And so, casting about for likely aggressors, Viking singles out the leader of nearby cartel named White Bull (Tom Jackson), with whom Viking's father, Bullet, years ago brokered a since unbroken peace. So now there's a racially fueled drug war raging, with kids in peril and a humble but impossibly violence-adept truck driver right in the thick of it. The cultural aspect of this can be a little cringe-inducing but on balance it seems to be handled with relative delicacy. The problem is that the script is so busy charging around the shop, assigning cute personality traits to even minor characters, that it rarely rises above artifice. It's jokey, referential and half-clever in a way that most of us figured out was best left to Quentin Tarantino about 25 years ago. It's chock-a-block with quirks and oddities, but doesn't have the fundamentals strongly enough in place to support the circus. And with its relatively tame violence and strained attempts at coarse language, there seems little reason to have pursued an R-rating. That said, if all one wants is to see Liam Neeson pinning a car to the ground with a tree trunk, enjoy with my compliments. R. 118M. BROADWAY. HIGH FLYING BIRD. I don't know how people become aware of impending media releases anymore; I used to watch television and read magazines. A beast of a bygone era, my exposure to the internet is willfully truncated, so other than theatrical trailers I feel like I only find out about things by happy accident or random whispers. And so I can't say how I became aware that on Friday, Netflix quietly released a Steven Soderbergh (yeah, the guy who retired a few years ago and is now in the midst of the most prolific period of his career) movie. It is called High Flying Bird. It is deceptively simple, multi-layered enough to merit second viewing and gorgeously shot (apparently all on iPhone). It is also topical, satirical, tragic, hilarious and should be widely discussed. Ray Burke (André Holland), a high-powered sports agent in a major New York agency, finds his livelihood threatened by an ongoing league lockout. He represents the first-round draft pick to the New York basketball club (unnamed, I assume due to licensing vagaries but also to narrative device) Erik Scott (Melvin Gregg), who has found himself in both social media and financial trouble in the absence of court time. Ray's assistant Sam (Zazie Beatz), a formidable mind in her own right, has her sights set on bigger things. 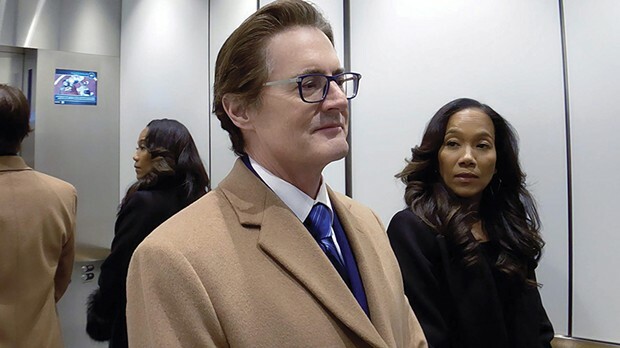 The players' association, represented by the troubled, hard-drinking Myra (Sonja Sohn), refuses to bend to the owners, embodied by the conniving, swaggering David Seton (Kyle MacLachlan). Ray may be the only one who can see a way through to playing the game that plays the game. Written by Tarell Alvin McCraney, who got a "story by" credit on Barry Jenkins' Moonlight (2016), High Flying Bird approaches American entertainment, sport, masculinity, race and commerce from a new and unique perspective and should be required viewing. TV-MA. 90M. NETFLIX. ALITA: BATTLE ANGEL. A saucer-eyed, Snapchat-filtered robo-girl fights and roller derbies her way through a CG dystopia to find out who she is. PG13. 122M. BROADWAY, FORTUNA, MILL CREEK, MINOR. HAPPY DEATH DAY 2U. 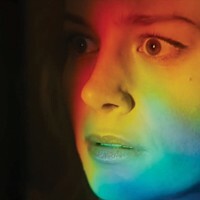 For the sequel, Tree (Jessica Rothe) dies over and over again at the hands of a baby-masked killer, this time with her friends in tow. PG13. 100M. BROADWAY, MILL CREEK. ISN'T IT ROMANTIC. A cynical woman (Rebel Wilson) wakes from a head injury trapped in a romantic comedy. With Liam Hemsworth and Priyanka Chopra. PG13. 88M. BROADWAY, FORTUNA, MILL CREEK. TO KILL A MOCKINGBIRD (1962). Gregory Peck and Brock Peters in the Harper Lee adaptation. PG. 102M. BROADWAY. AQUAMAN. James Wan directs the butched-up ocean superhero's (Jason Momoa) solo feature with Amber Heard and an army of CG sea creatures. PG13. 143M. BROADWAY. A DOG'S WAY HOME. Live action drama in which a lost dog (voiced by Bryce Dallas Howard) searches for her owner cross country. Starring Ashley Judd. PG. 96M. FORTUNA. GLASS. Director M. Night Shyamalan brings characters from Split (James McAvoy) and Unbreakable (Samuel L. Jackson, Bruce Willis) together to complete the dark superhero set. PG13. 129M. BROADWAY. GREEN BOOK. The cringe-worthy story of a racist white man driving a black concert pianist around the South in the '60s buoyed by Viggo Mortensen and Mahershala Ali's immersive performances. PG13. 130M. MILL CREEK. THE LEGO MOVIE: THE SECOND ONE. More blocky animated action starring the voices of Chris Pratt and Elizabeth Banks. PG. BROADWAY, FORTUNA, MILL CREEK, MINOR. OSCAR SHORTS: LIVE ANIMATION, ANIMATED, DOCUMENTARY. Three separate showings to catch you up on the 2019 nominees and give you an edge on your Oscar pool. MINOR. THE PRODIGY. Parents of a gifted boy grow frightened of his behavior. (Spoiler: Totally evil.) R. 92M. BROADWAY, MILL CREEK. SPIDER-MAN: INTO THE SPIDER-VERSE. Inter-dimensional spider heroes team up in an animated adventure. Starring Shameik Moore, Jake Johnson and Hailee Steinfeld. PG. 117M. BROADWAY, MILL CREEK. THEY SHALL NOT GROW OLD. Director Peter Jackson's World War I documentary. R. 99M. BROADWAY. THE UPSIDE. An inexperienced parolee (Kevin Hart) becomes an assistant to a wealthy man with quadriplegia (Bryan Cranston). With Nicole Kidman. PG13. 125M. BROADWAY, FORTUNA, MILL CREEK. WHAT MEN WANT. If this mind-reading comedy reboot makes a single penny, Taraji P. Henson should go back and remake every Mel Gibson movie ever. R. 117M. BROADWAY, FORTUNA, MILL CREEK. THE WORLDS OF URSULA K. LEGUIN. Documentary about the iconic fantasy writer. NR. 68M. MINIPLEX.